Personal projects and professional portfolio prints alike will all look spectacular when you use your HP Color LaserJet CP1525 printer. It’s at the heart of your creative endeavors, so shouldn’t you be using toner that can adequately produce high-quality work? You could pay inflated OEM (original equipment manufacturer) costs for HP 128A toner cartridges, or you could get comparable quality and performance for a fraction of the cost at 1ink.com! 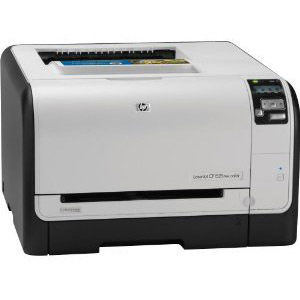 1ink.com’s remanufactured HP toner cartridges are guaranteed to deliver the results you need. We’ve designed these cartridges to offer an optimal user experience every time you print. They’re just as easy to install as an OEM cartridge and they’re guaranteed to produce clean, legible work. Our remanufactured toner cartridges are of the highest quality, making them safe to use in your printer. Using our remanufactured HP Color LaserJet CP1525 toner will not void your printer’s warranty; you’ll just get all the print performance you need consistently and for a lower cost than you’re currently paying. Take a look at our remanufactured toner selection below and see why 1ink.com is number one in toner.